The Grove by Rockwell | +639178132871 | Inquire Now! Own Your Grove Unit. : Rockwell Land is flying back to the US, this time to both East and West Coast. Rockwell Land is flying back to the US, this time to both East and West Coast. from April – May 2012! 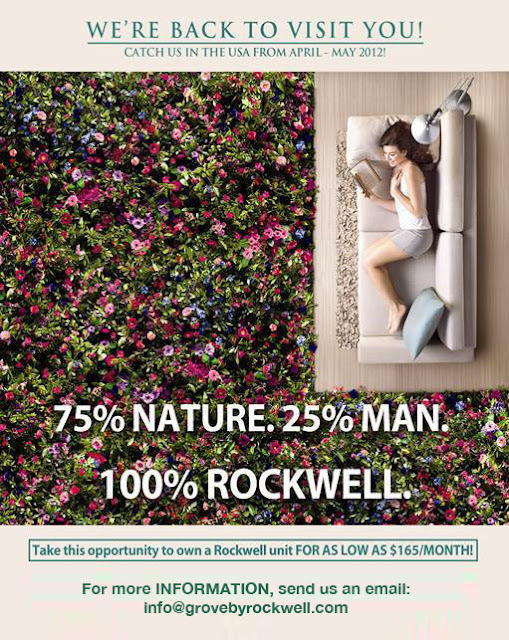 Take this opportunity to invest in a Rockwell Unit! Catch us in the USA from April – May 2012! We will be in the West Coast from April 24 – May 30; East Coast from May 2 – May 30.